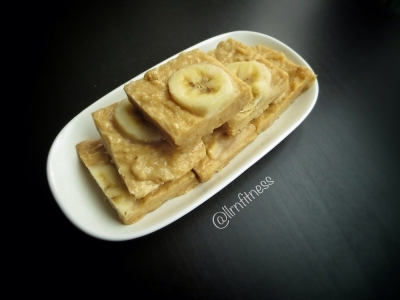 This is a delicious treat that's packed with protein! Add peanut butter and almond milk and mix well. Add protein powder, coconut flour and psyllium husk and mix. Take it out, let it sit for ~5 minutes and cut into 12 squares.